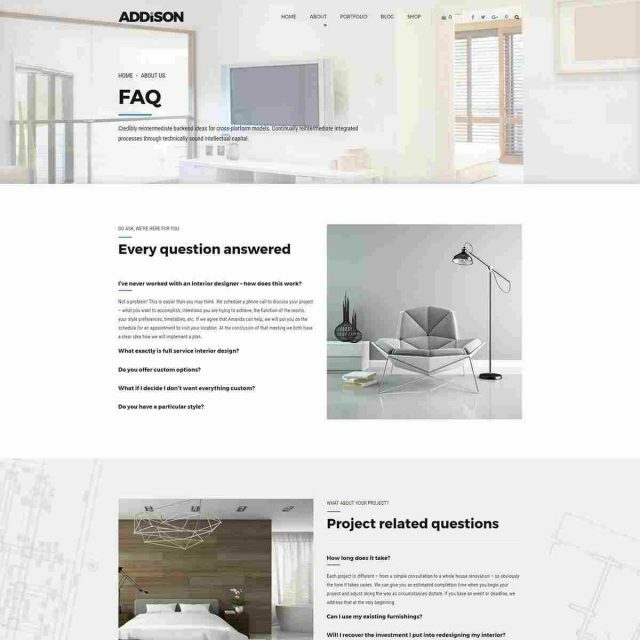 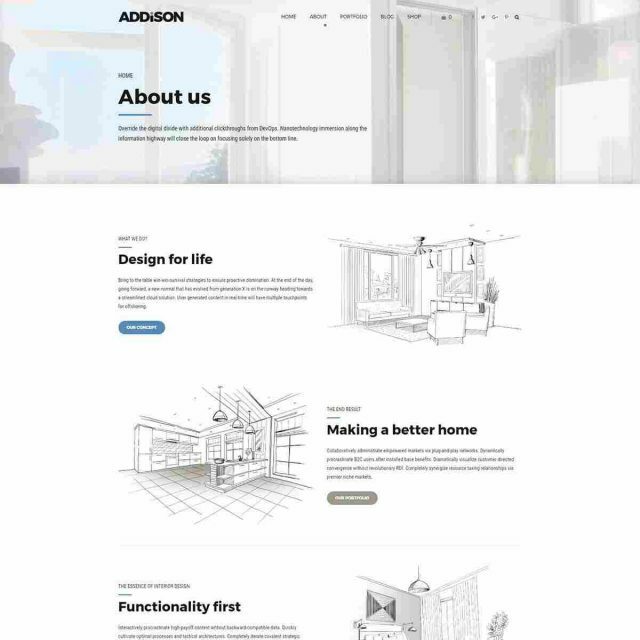 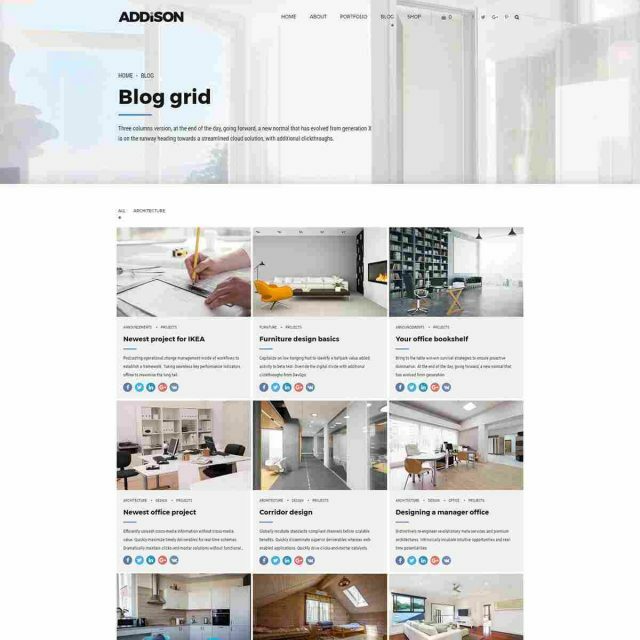 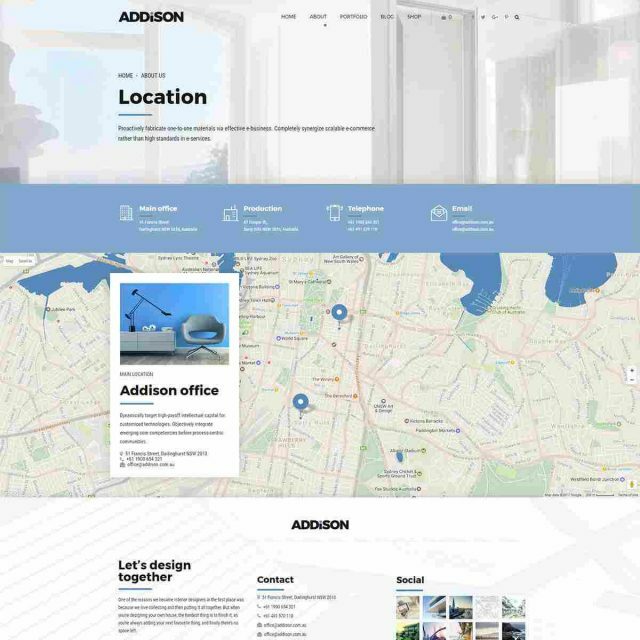 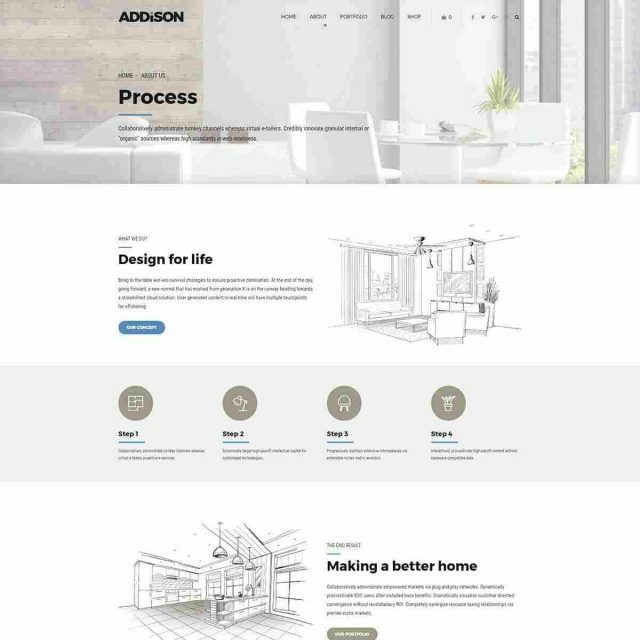 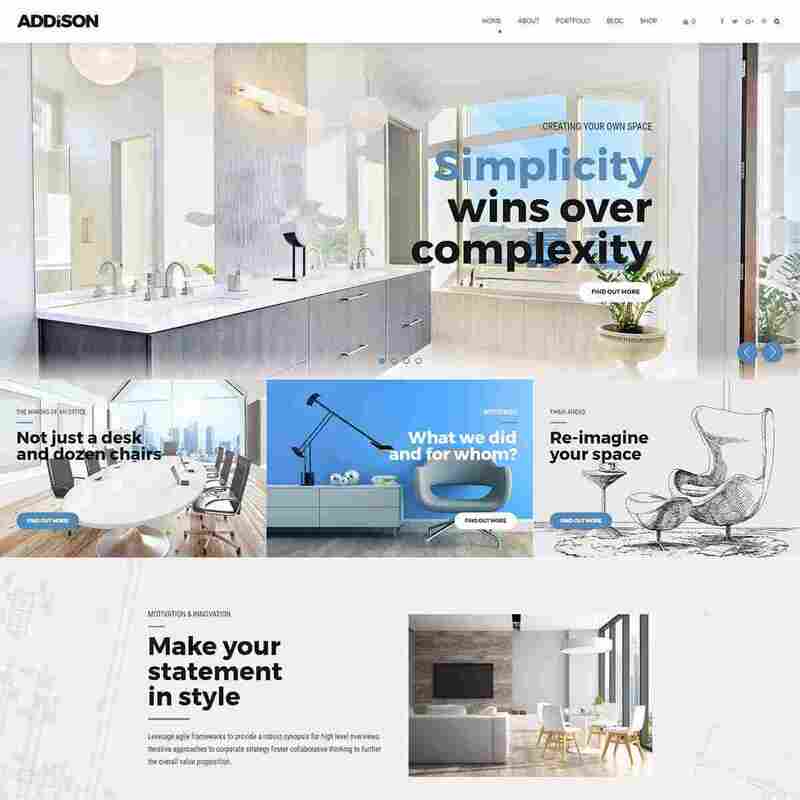 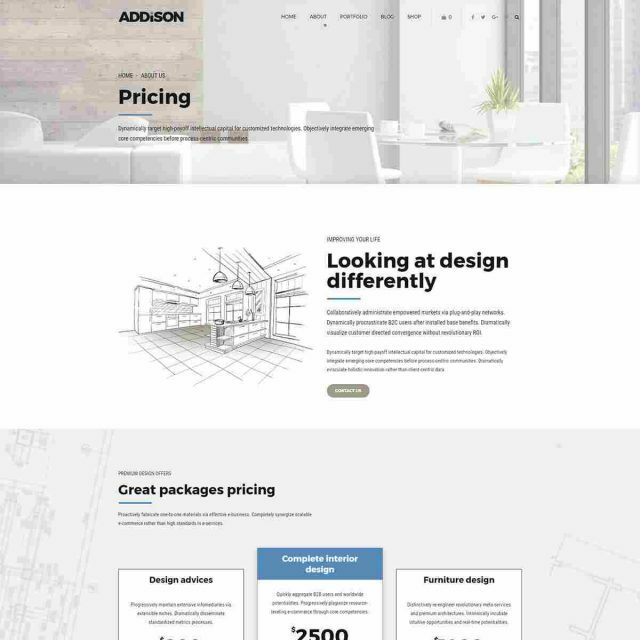 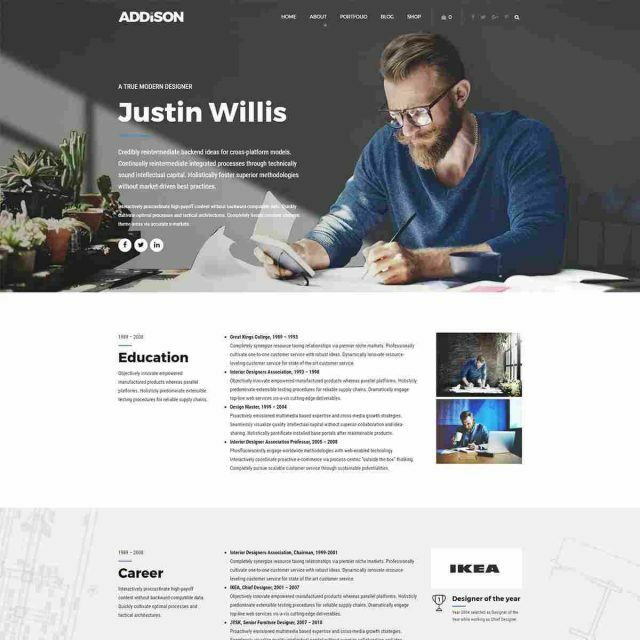 Addison is a WordPress theme specially crafted for interior design, with four great examples focused on different design areas and great portfolio examples. 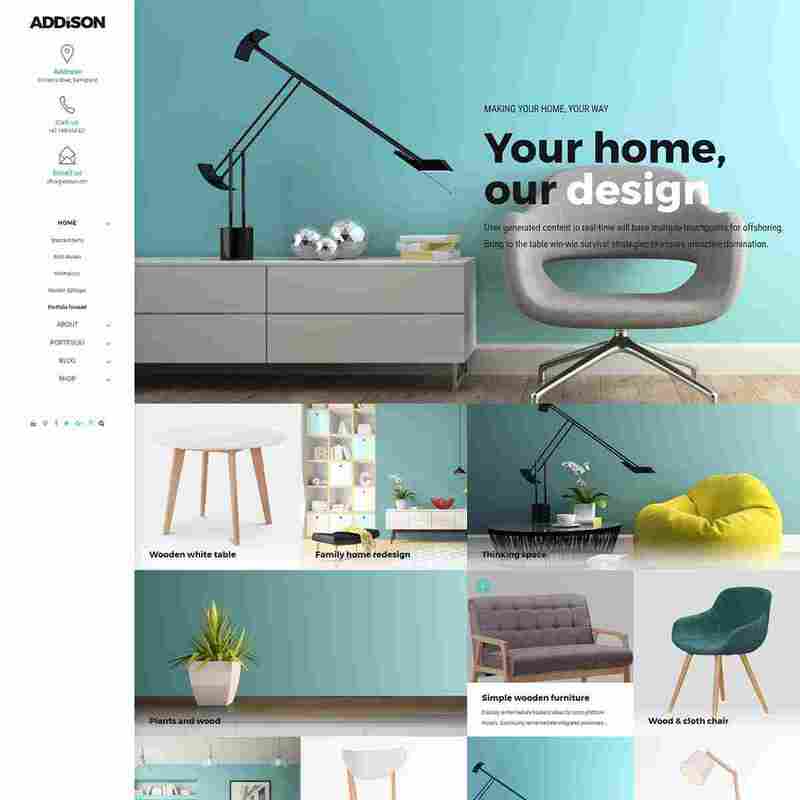 Great design matter. 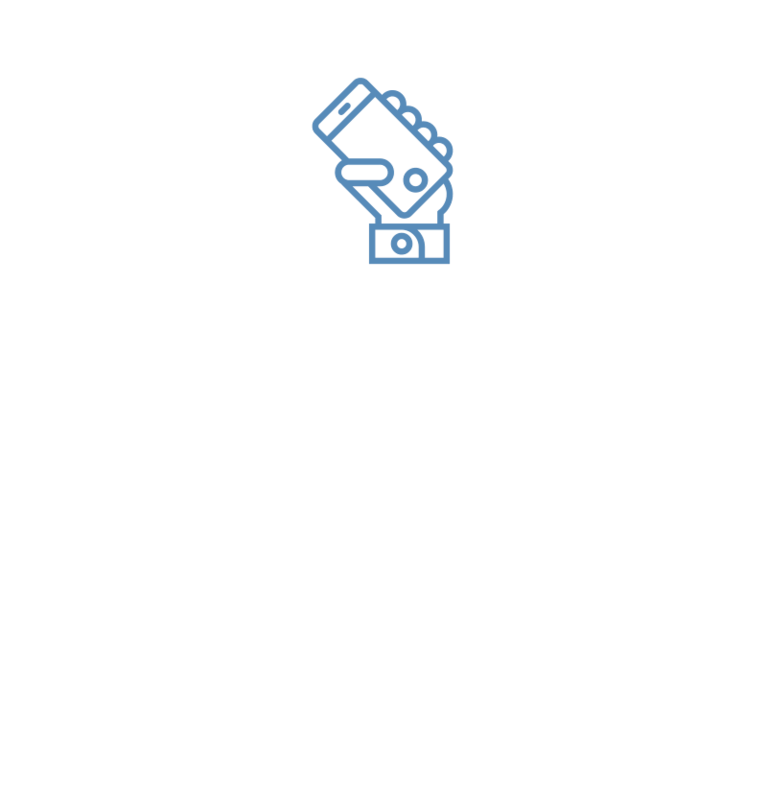 You know it, we know it. 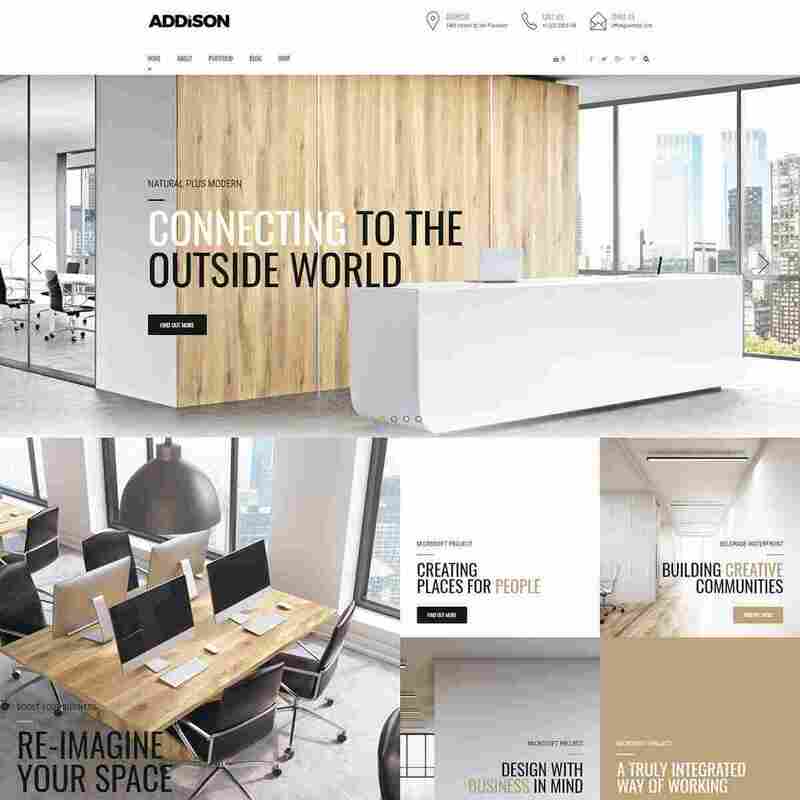 We bet you'll be impressed not only with it's look and feel, but also the functionalities and customization Addison can offer you. 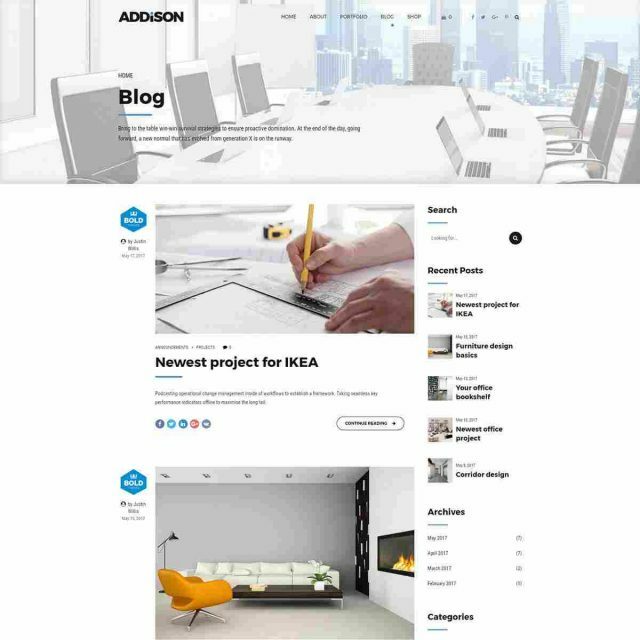 Great design is just an icing on the cake. 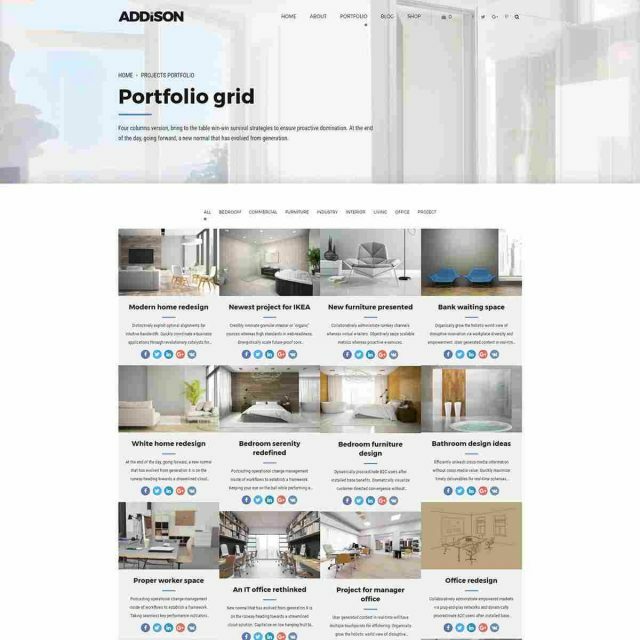 Addison offers various portfolio views, such as grid or tiles, and each of them can be additionally customized. 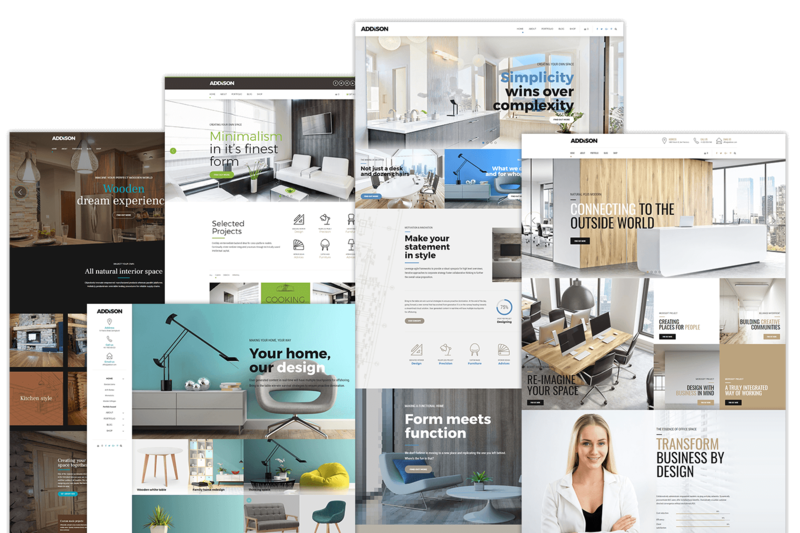 Single portfolio view offers lots of freedom for designers, we know you need it. 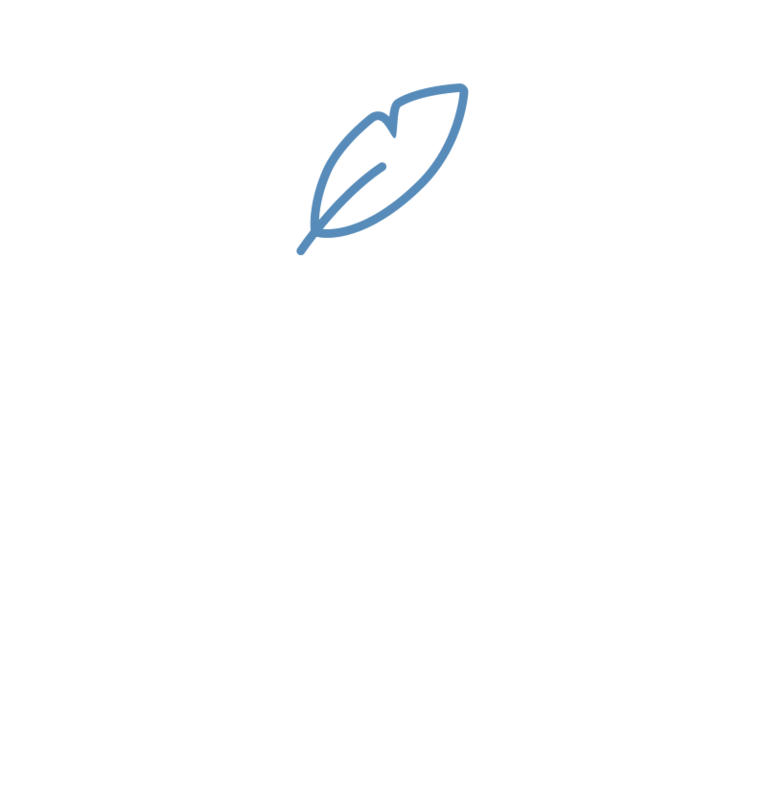 We all do. 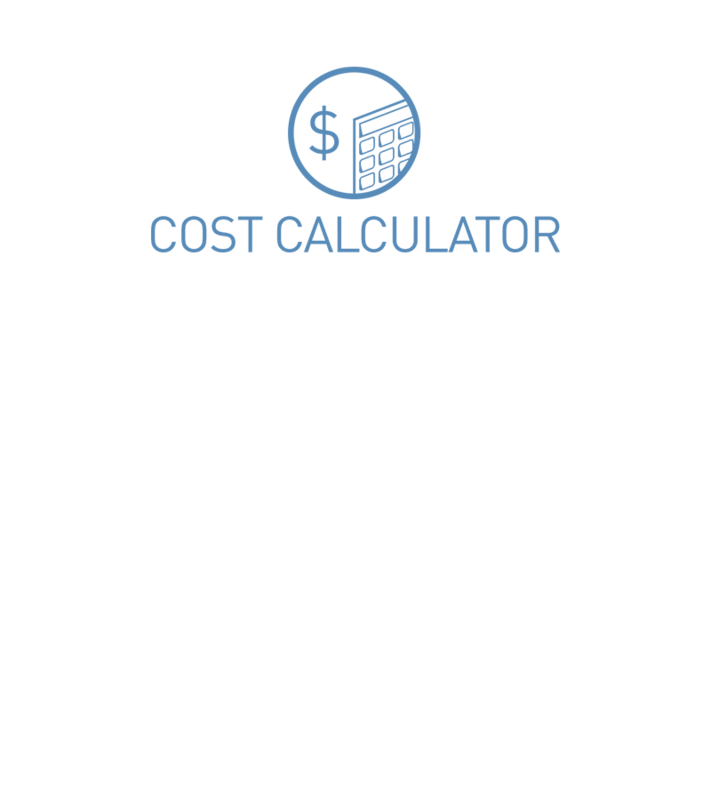 Use various options, which you can combine in any manner desirable. 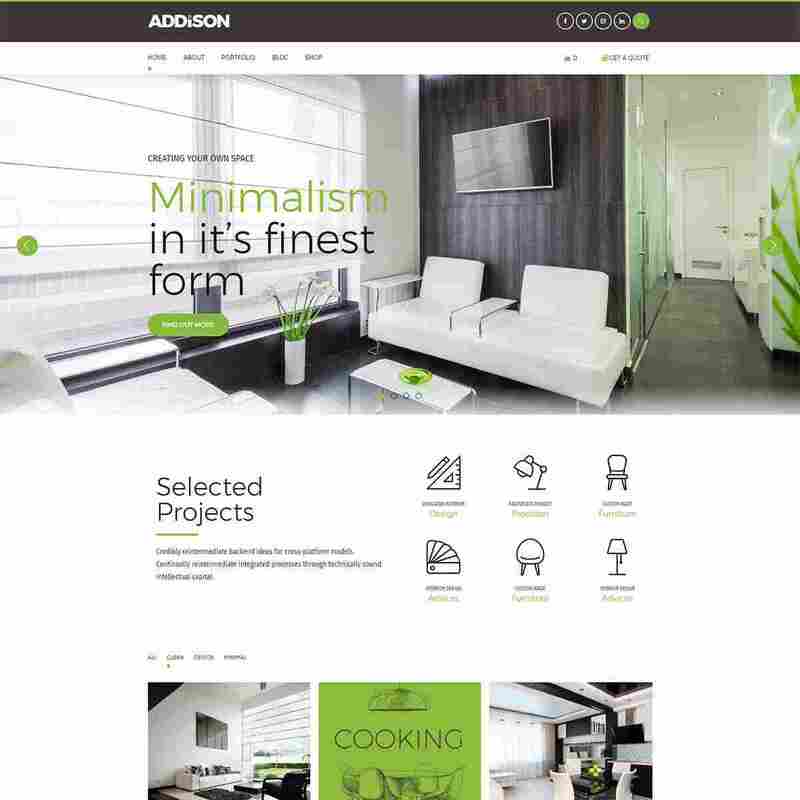 Fonts, colors, icons, header, menu, content and footer layouts can all be changed. 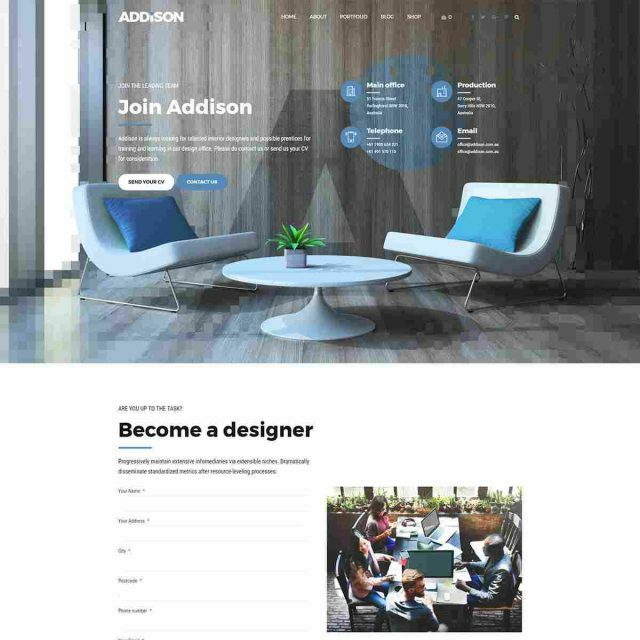 Addison adapts to your needs whenever you make a change. 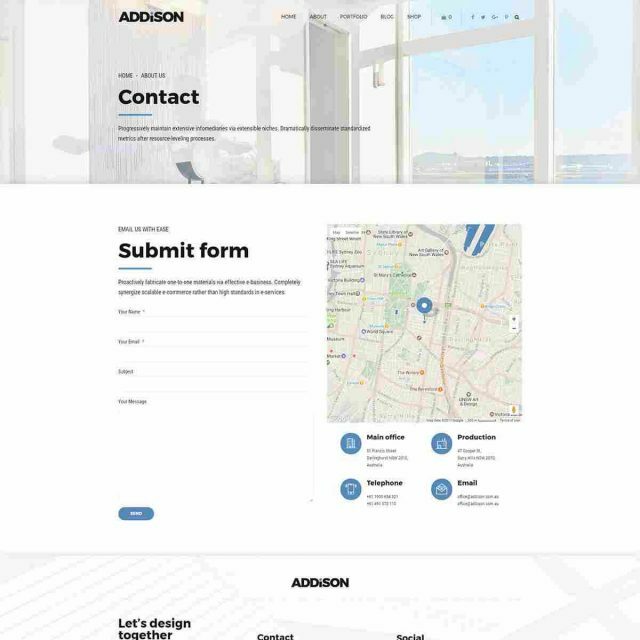 Addison offers all Google Fonts and you can pick up any font and two color combination you’d like to make your site stand out. 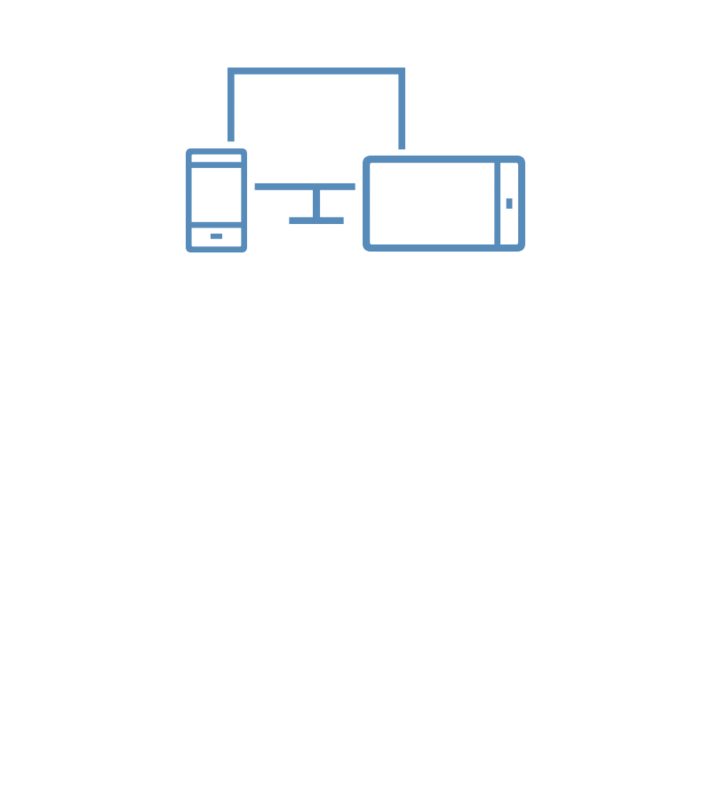 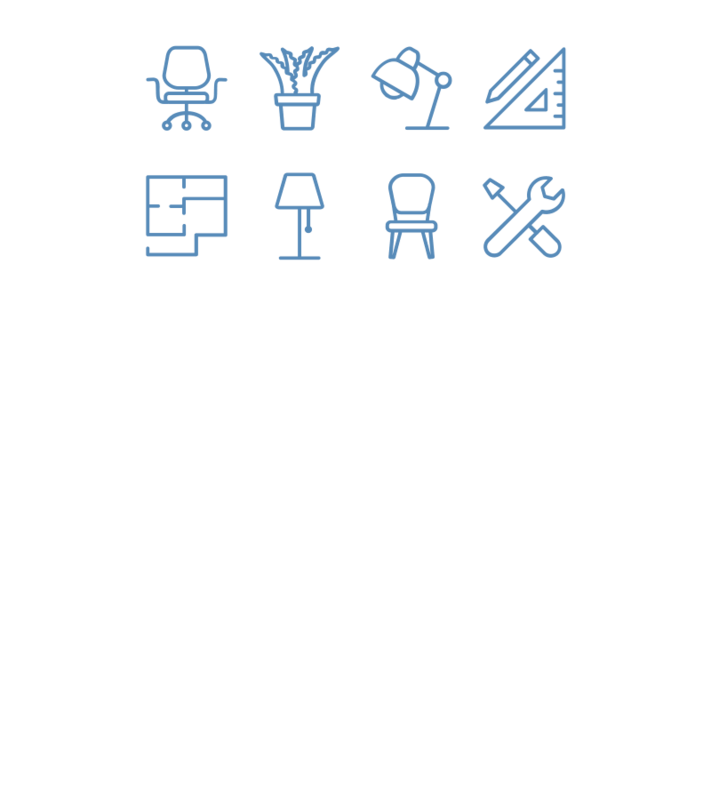 Addison already comes with fully packed icons support. 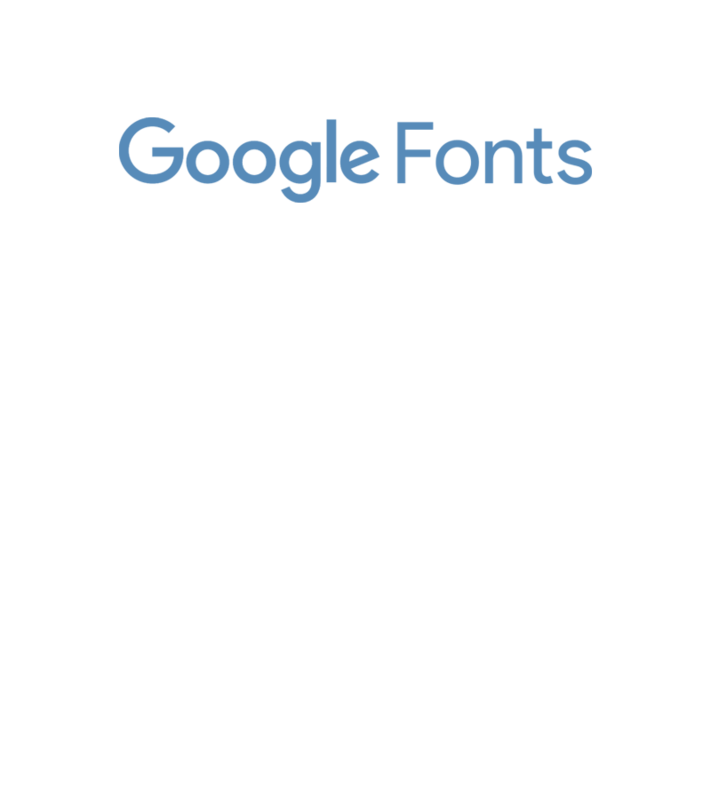 Font Awesome, Icon Stroke and as many as 13 Bold Theme icon packs. 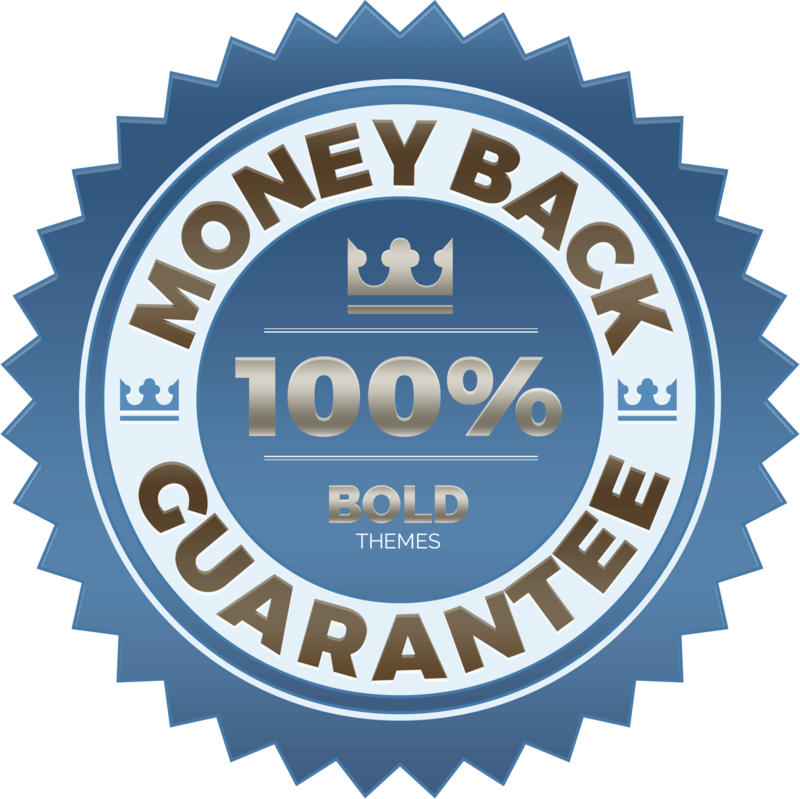 Our theme is created with best translation practices in mind and already contains .pot language file for easier translation. 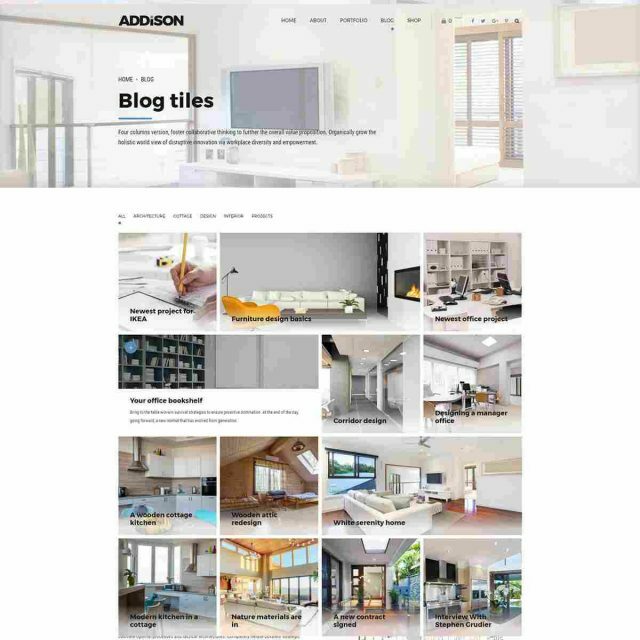 Addison theme options panel is powered by native WordPress customized, so you can change any setting with ease. 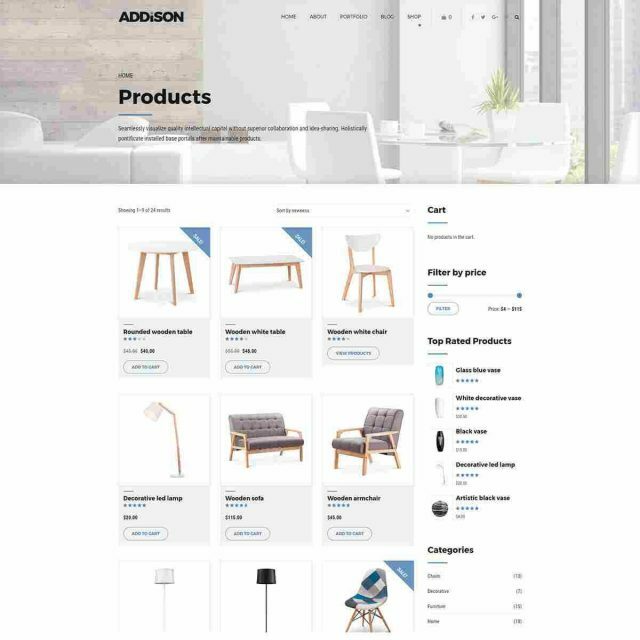 A shop is already included in the Addison theme and you can set it up for any of the website you need. 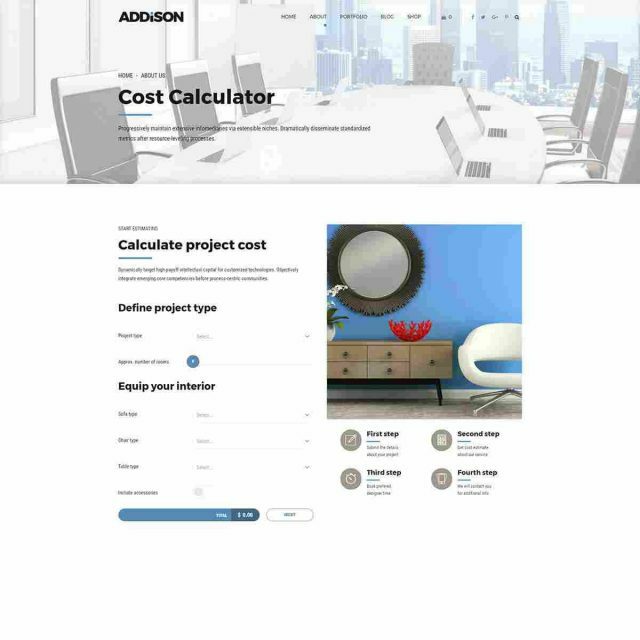 This simple quote estimation plug-in is already included in the theme, so you could offer your clients quick project cost overview. 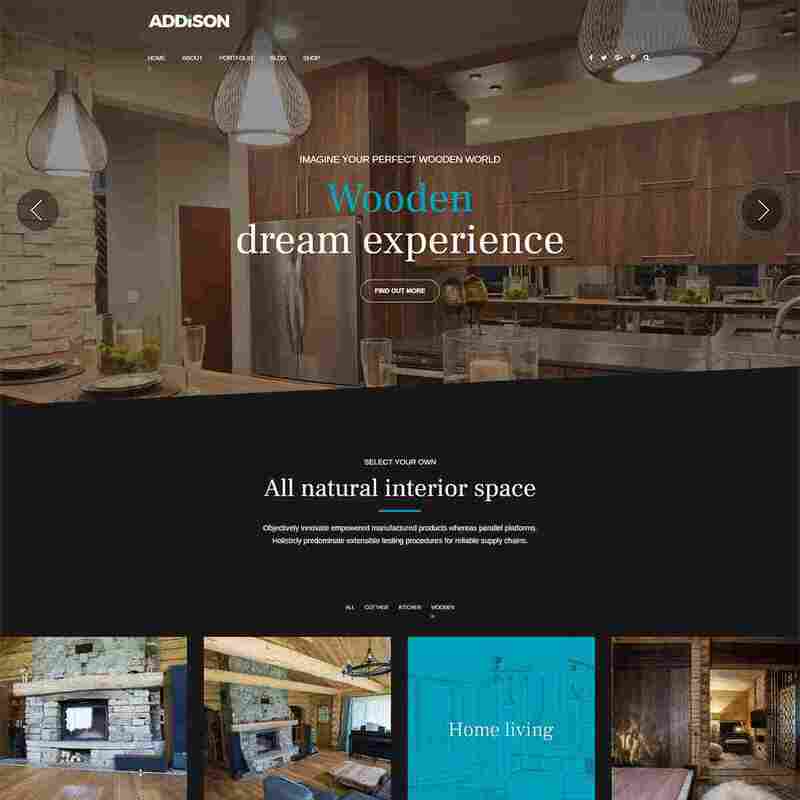 Latest of the generation visual page builder, optimized for speed with no coding experience needed is also included in Addison theme. 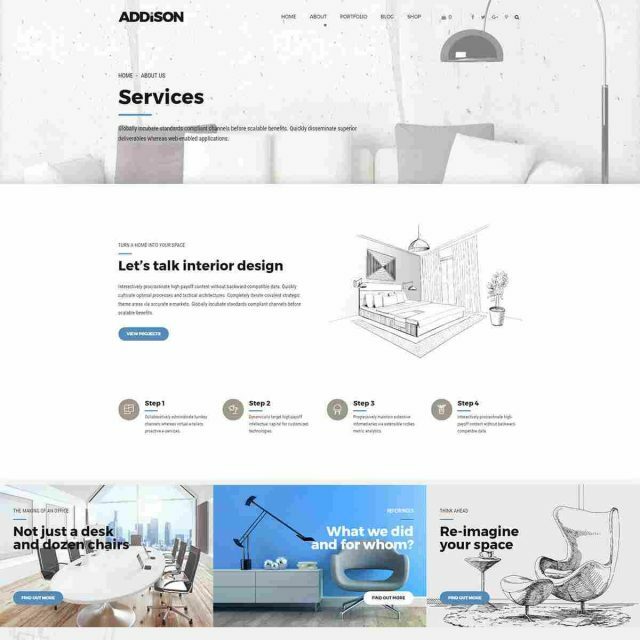 Addison theme comes with demo content already included. 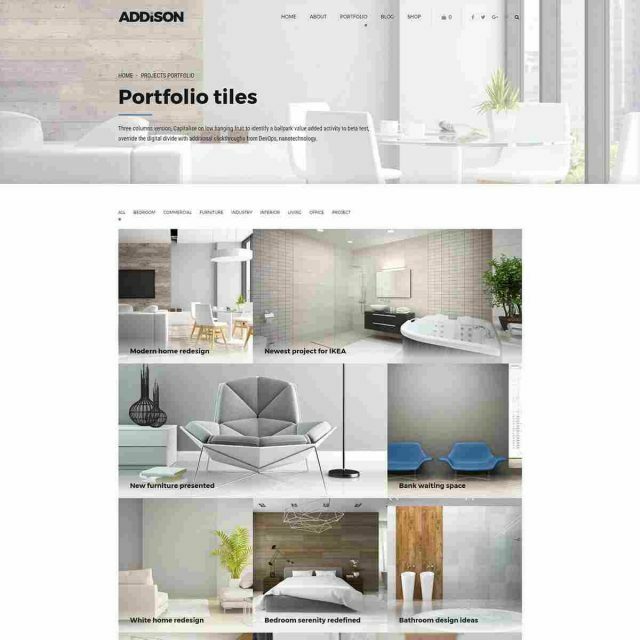 Lots of portfolio views and custom pages. 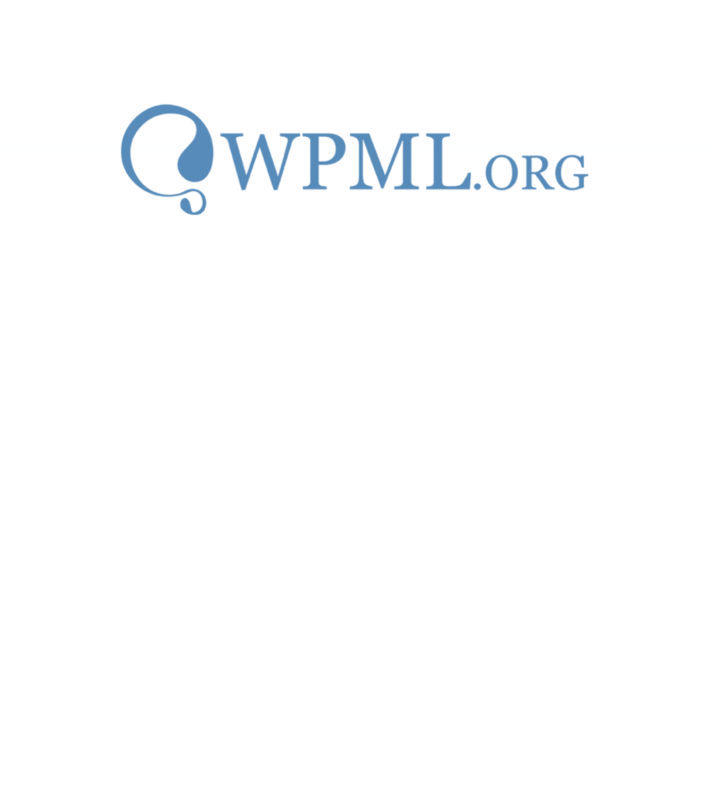 You’ll be set in minutes! 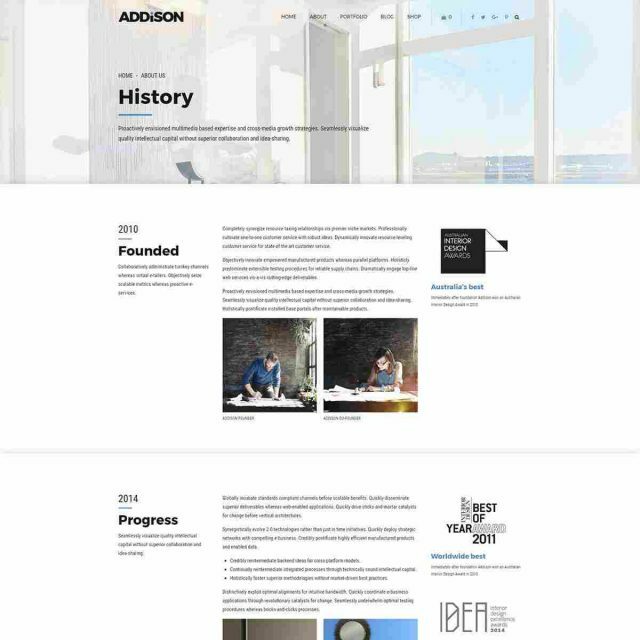 Since tailored for design business you will find it packed with carefully selected features. 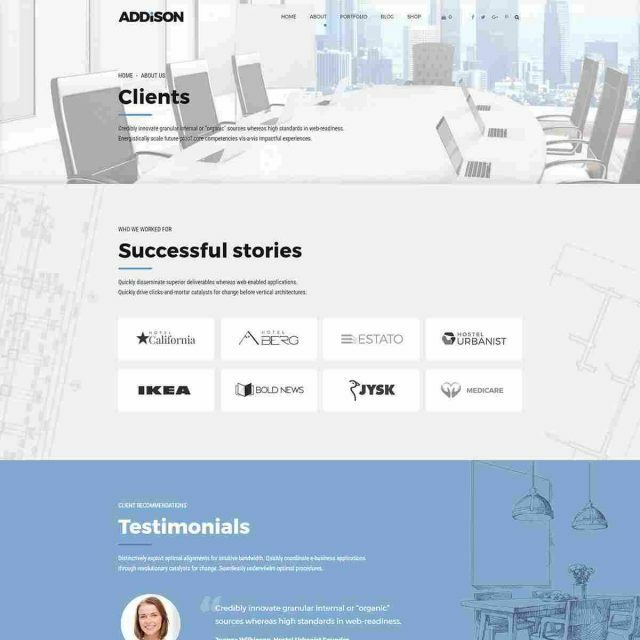 Best practices on the market collected in one page builder. 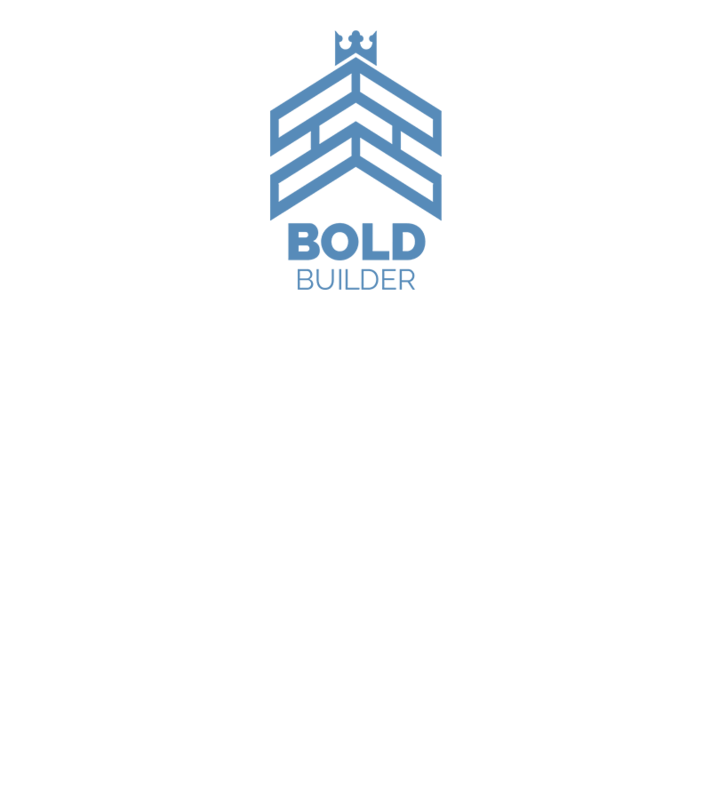 Bold Builder comes integrated with Addison theme. 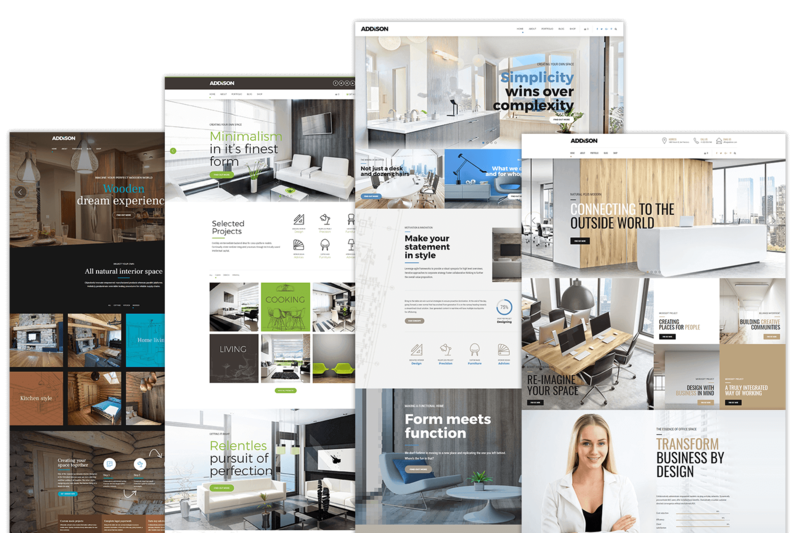 Features drag and drop interface, loads of content elements, clipboard functionality and has the fastest user interface around. 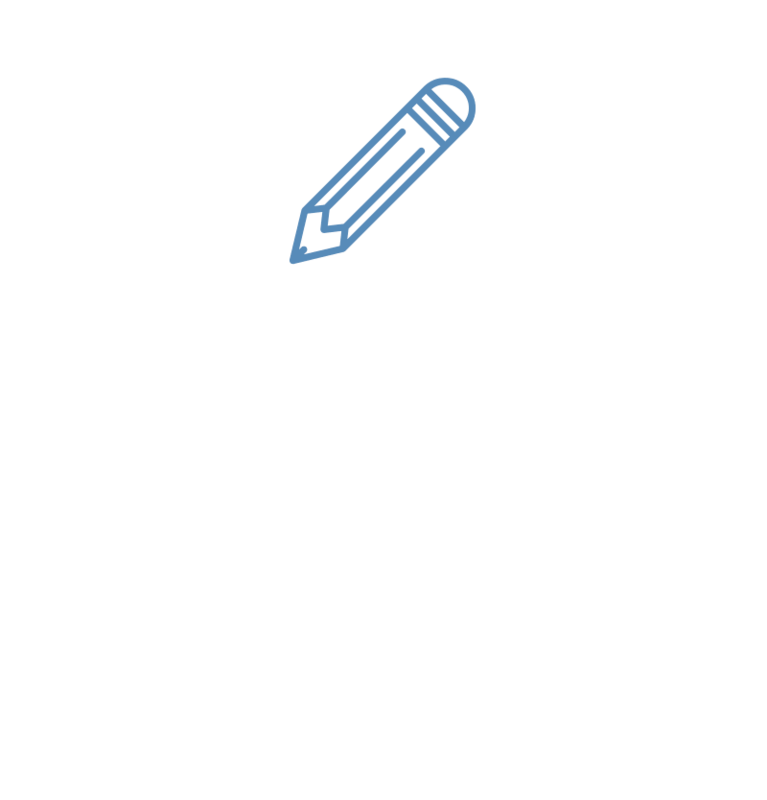 By far. 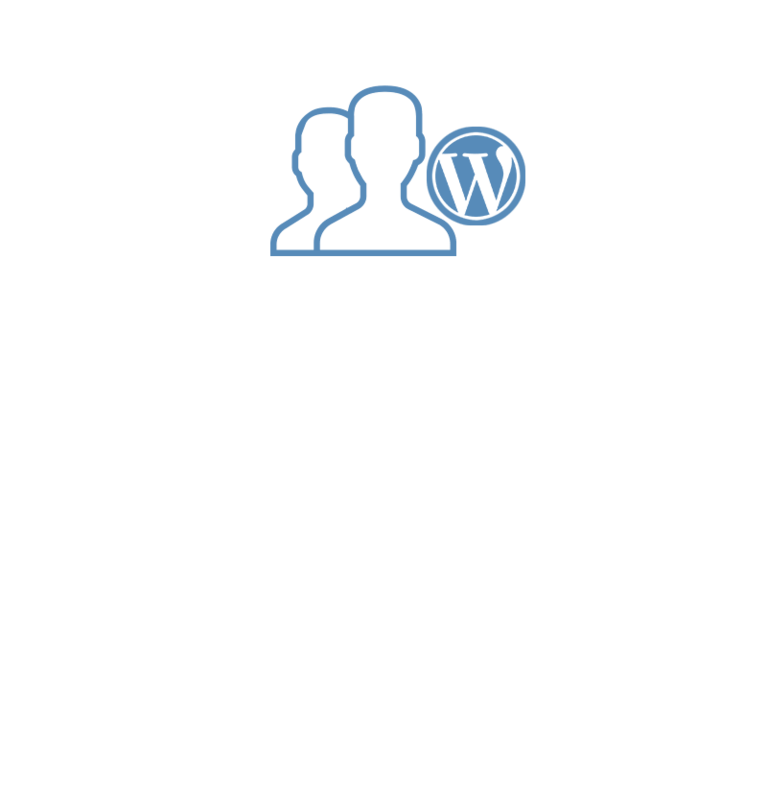 Give it a try and let us know how YOU feel about it – visit its page on WordPress.org.